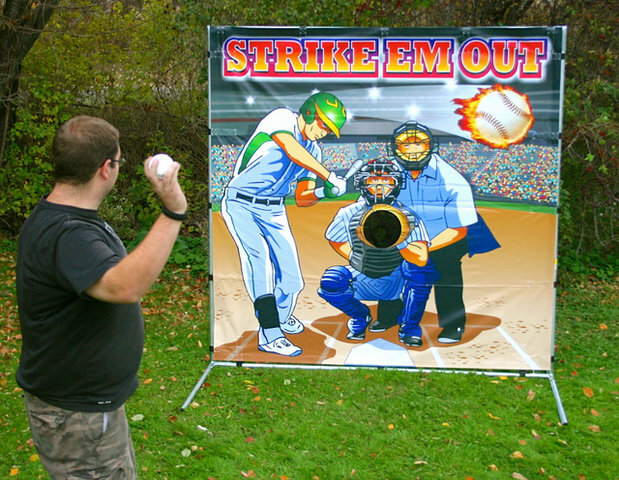 The Strike Em Out baseball toss frame game is sure to be a "hit" at any carnival, fundraiser or sporting event. Nobody can walk by this challenging game and not want to give it a try. This frame game can be set up indoors or out.